Here is a video we did a few weeks back to clear the misconceptions about 5G. The list above summarizes the topics covered. The video is nearly 29 minutes long. If you prefer a shorter version or are bored of hearing me 😜 then a summary version (just over 3 minutes) is in 3G4G tweet below. The slides can be downloaded from our Slideshare channel as always. As always, we love your feedback, even when you strongly disagree. 3GPP held a workshop on 5G NR submission towards IMT-2020 last week. You can access all the agenda, documents, etc. on the 3GPP website here. You can also get a combined version of all presentations from the 3G4G website here. I also wrote a slightly detailed article on this workshop on 3G4G website here. 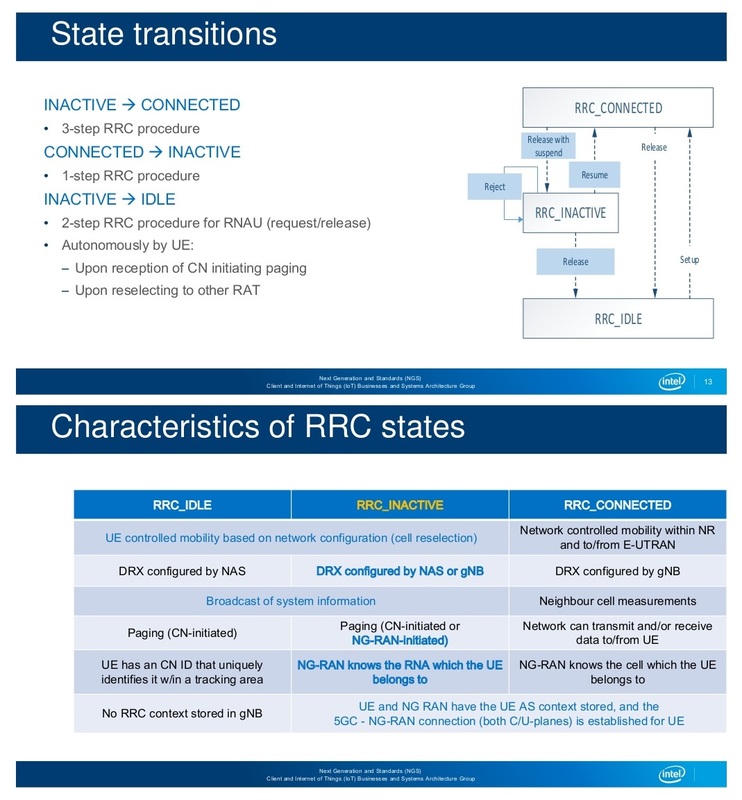 The following is nice overview of the 5G Radio Interface protocol as defined by 3GPP in NR Rel.15 by Sudeep Palat, Intel. The document was submitted to the 3GPP workshop on ITU submission in Brussels on Oct 24, 2018. 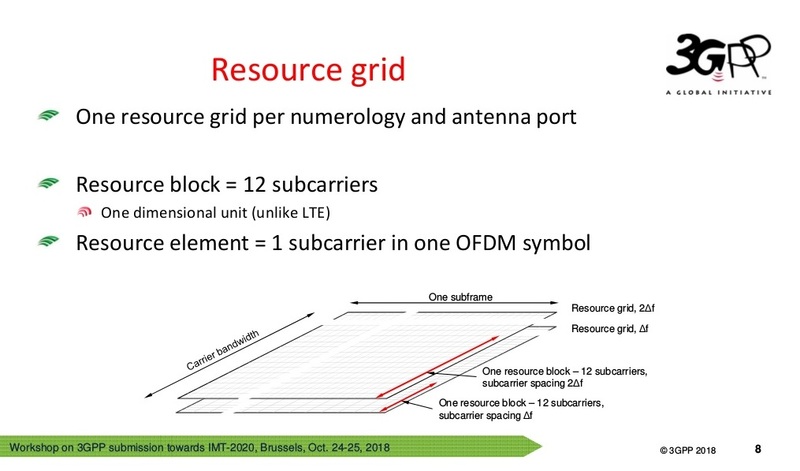 The presentation discusses NR radio interface architecture and protocols for control and user plane; covering RRC, SDAP, PDCP, RLC and MAC, focussing on differences and performance benefits compared to LTE. RRC states and state transitions with reduced transition delays are also discussed. Back in summer I wrote about how Telefonica and Parallel Wireless(*) are on a mission to connect 100 Million Unconnected and then followed it by a blog post with information from Patrick Lopez, VP Networks Innovation @ Telefonica about how Telefonica is using Big Data, Machine Learning (ML) and Artificial Intelligence (AI) to Connect the Unconnected. 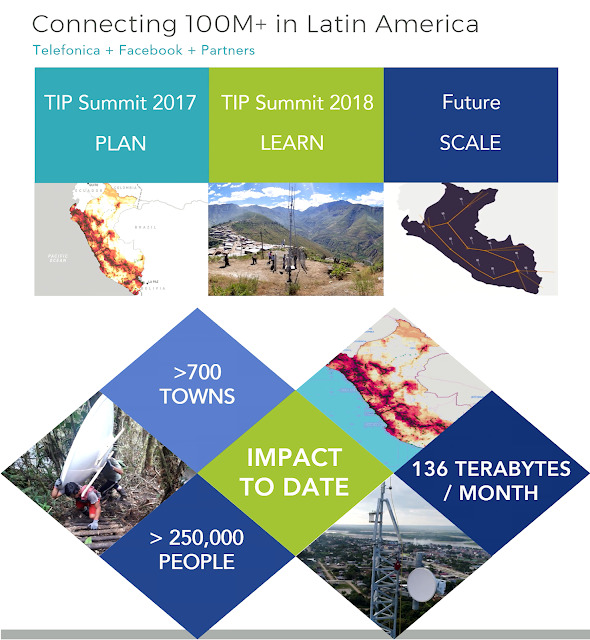 In the Facebook TIP Summit last month, Roger Greene, Rural Access Lead, Connectivity Ecosystem Programs, Facebook talked to Juan Campillo, Internet Para Todos Lead, Telefónica & Omar Tupayachi, Founder & CEO, Mayutel about how they are connecting the unconnected. The discussion embedded below, starts with a very nice video about how connectivity is making a difference in Peru. In fact that video inspired me to do this post 😊. Mayutel was described as Peru's first rural operator. It was founded in 2015 and works in over 150 areas. It has 25 employees. During the discussion some interesting points were discussed like planning, the reason its important is that if you dont do proper planning and analytics, you can use small cells instead of macros and vice versa. Also, some solutions are worth trying in the field as its only when deployed, it can be tested in real-world scenarios. Connectivity is very important for the rural people in Peru, like every other country. Approximately 4 million Peruvians have only got access to 2G technology. It would help if they have access to have 3G & 4G too. It not only helps connect the people on the move to their loved ones back home, it also helps small businesses who reply on messaging group communications to solve their issues and ask for help & advice. 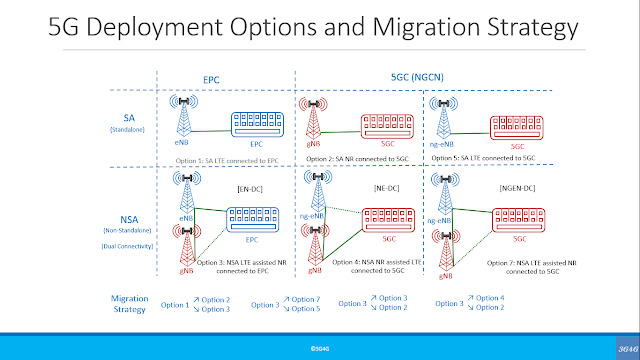 Due to the Open RAN approach, the cost of deployment has reduced by 50-70%. Mayutel mentioned that they were able to deploy a site at 1/10th the cost it would normally take. This was all thanks to the open approach where their engineers can learn how to deploy the complete solution. It was vital to use local help not only in terms of knowledge but also in terms of manpower. 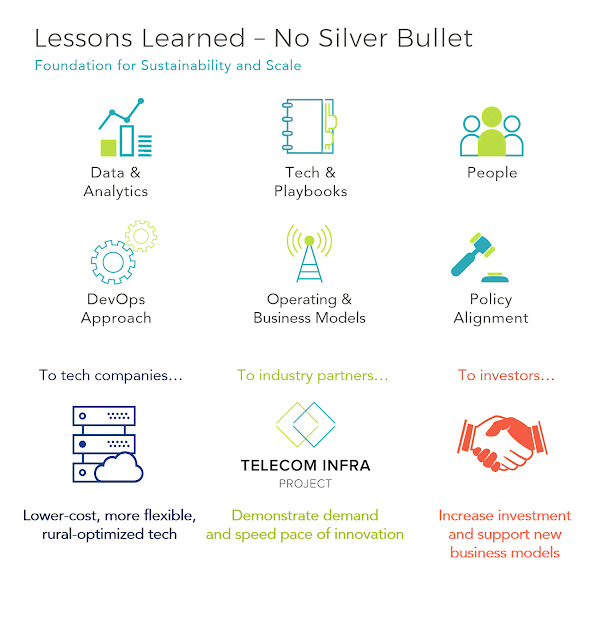 There were some good lessons and learning but in the end for this to scale more operators need to become part of the Telecom Infra Project and make this successfully happen. Here is another video from Parallel Wireless on their deployments in Peru. All videos from TIP Summit 2018 are available here. One of the presentations on 'Physical layer structure, numerology and frame structure, NR spectrum utilization mechanism 3GPP 5G NR submission towards IMT-2020' by Havish Koorapaty, Ericsson is a good introductory material on 5G New Radio (NR) Physical Layer. It is embedded below (thanks to Eiko Seidel for sharing) and the PDF can be downloaded from slideshare or 3G4G website here. Both HTC’s Exodus and Sirin’s Finney smartphones feature a built-in digital wallet application that will enable users to securely store and use cryptocurrencies, such as bitcoin and ethereum, in daily transactions. Those smartphones are designed to replace the special memory sticks, which employ complex usernames and passwords to access, that cryptocurrency investors use to store their digital money. These investors typically store most of their cryptocurrencies in such hardware, which are kept offline as a means of security. 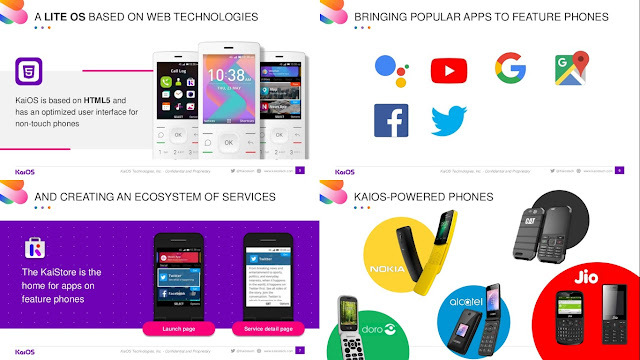 The company’s Exodus smartphone, for example, can serve as a “node”, which can connect to certain blockchain networks to enable trading of tokens between users. It will also be able to act as a so-called mining rig for users to earn new tokens tied to the Exodus blockchain. “At some point, we’ll do our own utility token,” said Chen, adding that there was no timetable for such a token release. HTC’s foray into blockchain, the distributed ledger technology behind cryptocurrencies like bitcoin, represents a strategy to keep the company relevant in smartphones, which is a market dominated by Samsung Electronics and Apple, followed by Huawei Technologies, Xiaomi and other major Chinese brands. Anyway, the blockchain smartphone reminds me of the joke above (via marketoonist). 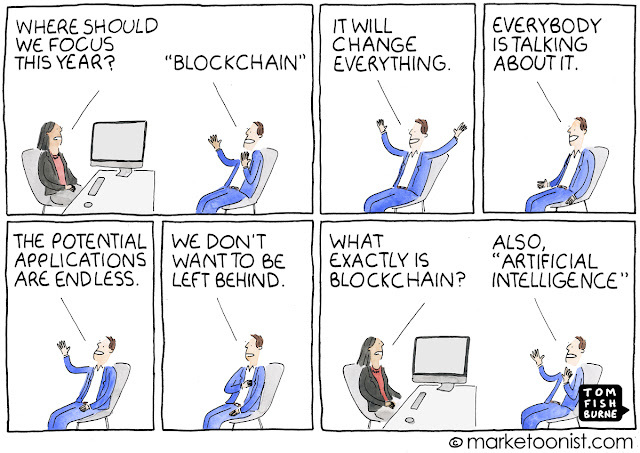 The second technology mentioned in this joke is AI or Artificial Intelligence. 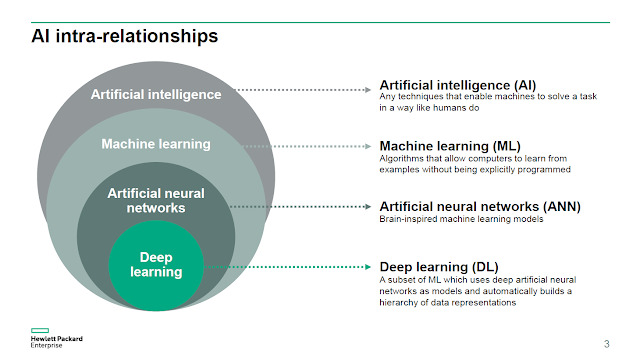 I heard HP Enterprise talk about AI recently and this picture above is a nice simple way to show how Deep Learning (DL), Artificial Neural Networks (ANN), Machine Learning (ML) and Artificial Intelligence (AI) are related. I see AI and blockchain often referred to together. This does not necessarily mean that they are related. 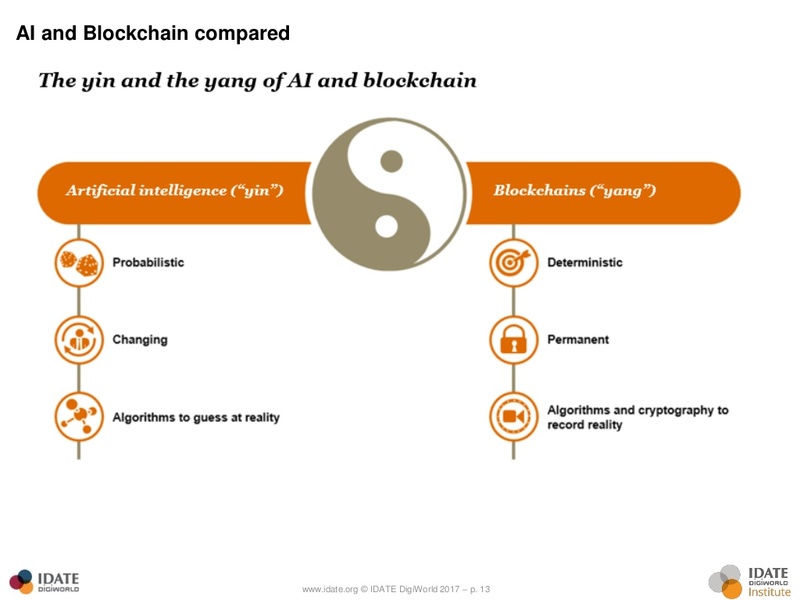 iDate allowed me to share a recent presentation (embedded below) that refers to AI & blockchain as Yin and Yang. Anyway, I am happy to learn more so if you have any thoughts please feel free to share. PWC: How can telecom, media, and entertainment find the value in blockchain? 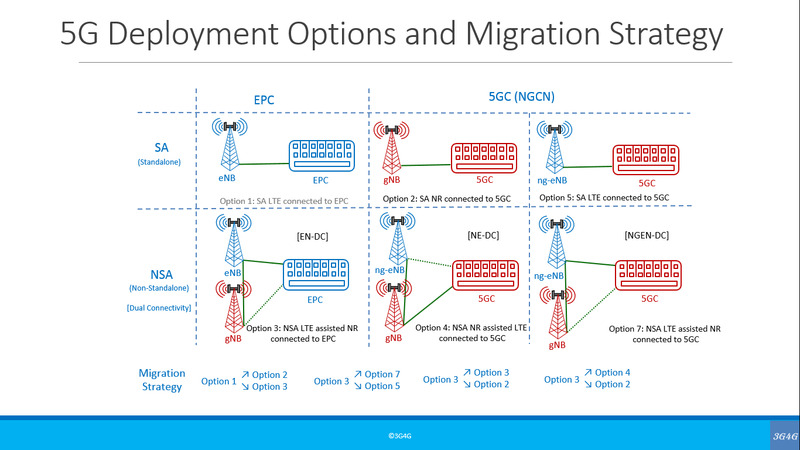 ICYMI, we created an updated video on 5G Network Architecture options. The videos and slides are embedded below. 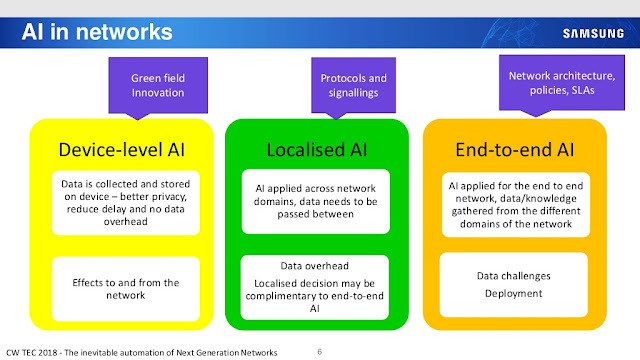 Nokia has also released a whitepaper on this topic that I only became aware of after my slides / video were done. More details in the tweet below. 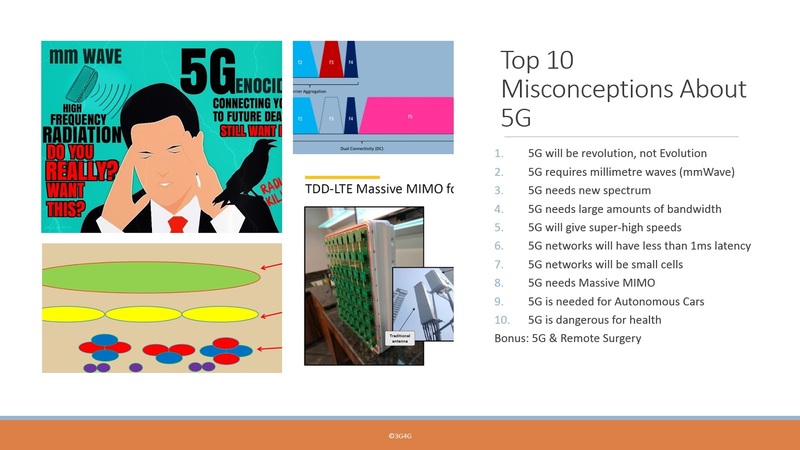 I recently heard Iris Barcia, COO of Keima speak after nearly 6 years at Cambridge Wireless CWTEC 2018. The last time I heard her, it was part of CW Small Cells SIG, where I used to be a SIG (special interest group) champion. 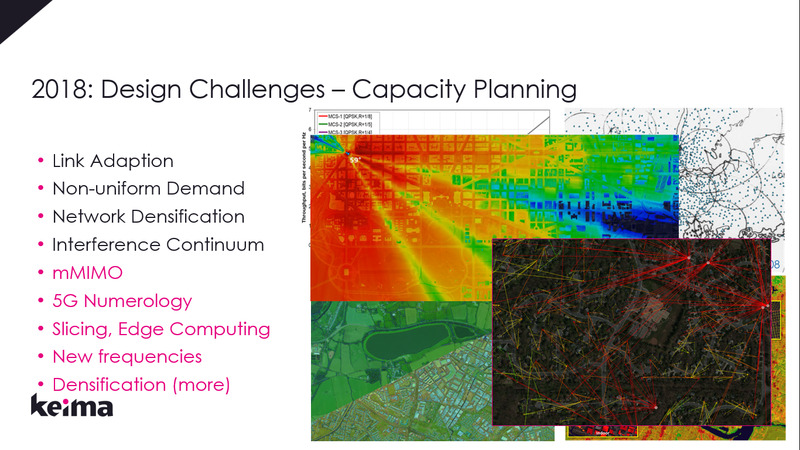 Over the last 6 years, the network planning needs have changed from planning for coverage to planning for capacity from the beginning. This particular point started a little debate that I will cover in another post, but you can sneak a peek here 😉. Embedded below is the video and presentation. The slides can be downloaded from SlideShare. 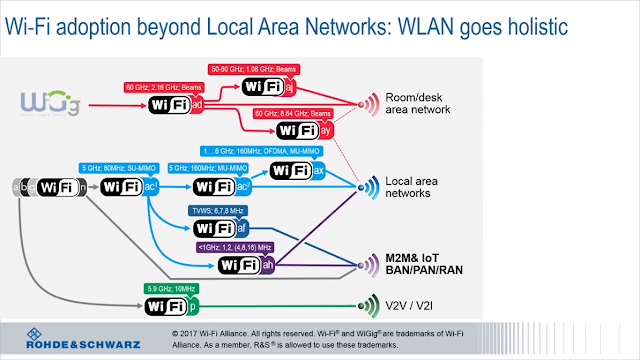 Wi-Fi Alliance has announced that the next generation WiFi technology, 802.11ax, will be known as Wi-Fi 6. 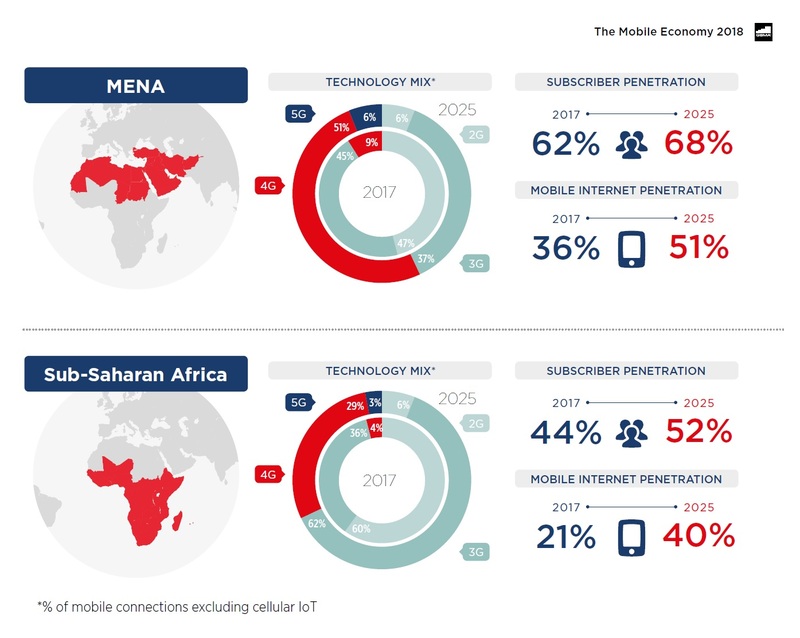 This is to probably make it simpler, similar to mobile technology generations. Everyone knows 3G and 4G but how many people know UMTS or LTE. Similarly they are hoping that people will be aware of Wi-Fi 4, 5 & 6. They haven't bothered to name anything below Wi-Fi 4. Anyway, I am not going in any technical details in this post but look for the really good links on this topic below. To learn more about the naming of next-gen Wi-Fi, check this link. Quora: What is the difference between WLAN 802.11 b/g/n and 802.11ac? Which is better?